Sometimes you just need to change things up in order to make your homeschooling days run smoother, so that’s what we’re doing this year. 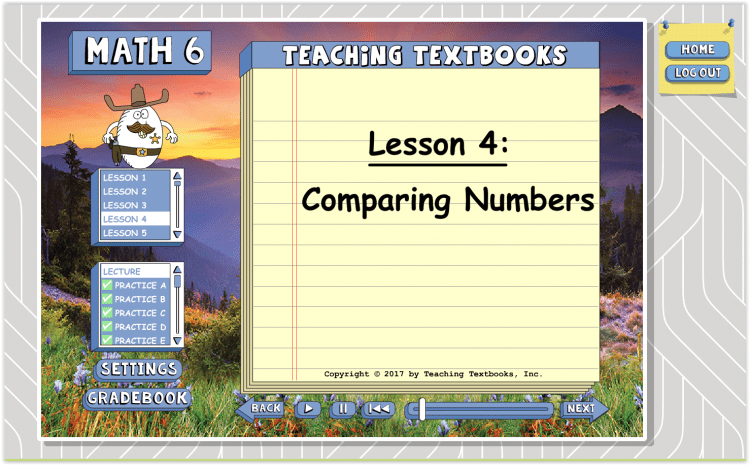 After many years of using the same workbook based math program (which I really love! ), the kids started to find the repetition boring and frustrating. 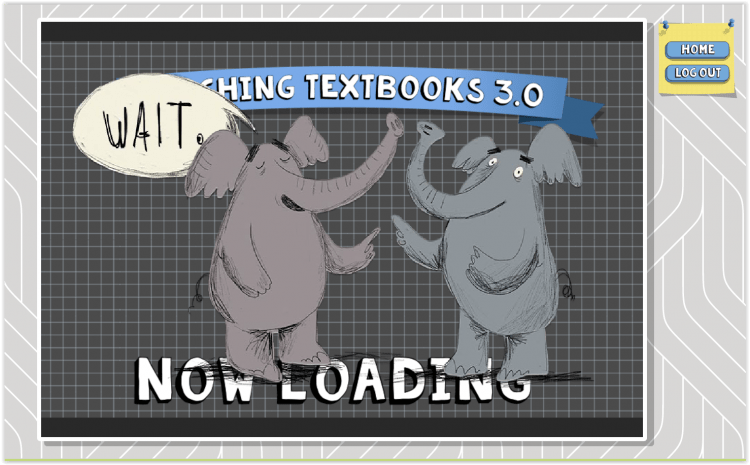 So, we’re making the jump to Teaching Textbooks 3.0 Math Curriculum (That’s their new online version.) This year, two of the boys will be using the Math 6 level and one will be using Pre-Algebra. Why We Are Changing to Teaching Textbooks 3.0 Math Curriculum. The program that we have used and loved for years just ended up having too much repetition. As a spiral approach, students repeated the same topic twice a year, building on what they already learned. The page layouts were similar each time, so my kids started to feel like they had already learned and succeeded at these lessons already and felt frustrated by doing them again. Plus, the program didn’t have a daily work plan, so we had to make up our own schedule. That has caused conflicts between the kids and I over the years because they want to complete too little and I wanted them to complete too much. After searching through math curricula options, we finally settled on Teaching Textbooks for several reasons. The price point is reasonable. In the past, Teaching Textbooks was only available in a physical products format (which we actually did use last year for my oldest). This included both a CD and a thick paper workbook that followed along with the materials on the CD. These sets cost between $120 – $184US depending on the level, but they offer FREE Shipping – even to Canada (woot!) Now they’ve released version 3.0 which is all online. A single year costs somewhere between $45 and $68US (again depending on level) making it extremely affordable. Of course, you can’t resell or reuse the digital version but the difference in price is worth this inconvenience, I think. Every day has a lesson. And it’s all laid out. This means my kids (and I!) can know exactly what they have to complete each day without a fight or highlighting questions in a workbook. They know they just have to log in, click on the lesson of the day and complete their work. Win! No overwhelming workbooks. I admit, last year when we got the printed workbook it was HUGE and completely overwhelming. There was groans at the thought of how much math a book that thick would involve. It ended up getting tucked away on the school shelf except if I needed to pull it out to run over a struggling topic. Now, everything is online and the worry of a big workbook is gone. Grading is done for me. This never really seemed like a big deal for me, but last year when my oldest started using Teaching Textbooks, I discovered how helpful it was to have some kind of documented record that showed the areas he is struggling in and excelling in so I can focus on the areas that we need to work on more. Plus, as we head into the high school years, it is helpful to have an actual grade to add to transcripts. It caters to all learning styles. Obviously, this program is very visual, but I love that it also uses a clear voice audio to teach all the lessons AND to read out all the questions. This means students who struggle with reading can still excel in their math! Plus, it’s hands-on since they are moving the mouse and typing on the keyboard. The workbook is now online. You no longer need to buy it separately, it’s all included with your online subscription. If you need access to the printed version of a lesson (say as review or if you know you are going to be offline for any lessons), you can select exactly what you want to print. Parents have their own handy portal. Here you can access all gradebooks for each student as well as their workbooks, change settings, and manage your subscriptions. Plus, since it’s online, I can check from my own computer instead of having to access each one from their own computers where CDs are installed. As a parent, I can also go into my child’s account and delete any lessons or problems they’ve struggled with so they can repeat it and hopefully do better. You can do math from Grade 3 to Pre-Calculus. So many programs end at elementary school, leaving people stuck looking for a new program in high school. Having a continuous program means that the stress of math can be alleviated through high school. They offer a large family discount. 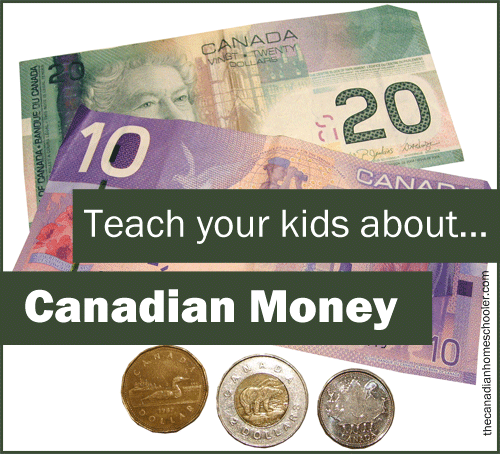 When you are homeschooling a large family, curriculum costs can really add up. Teaching Textbooks realizes that and has put together an offer where families can get up to 8 children on an account to save money! Because the format is structured, the kids know what to expect every day. There is a lesson, followed by some practice problems, followed by 20 graded questions. In the past, I’ve heard many complaints about how much work they have to do, but 20 questions seem possible for them. They haven’t complained yet about too much! It gives them a goal they can actually accomplish. It’s easy to use. The website is very user-friendly – with big buttons and navigation options, and a simplistic interface. It’s digital so it holds their attention longer. This could just be because I have some kids with ADHD, but computers just hold some level of appeal that a workbook will never be able to offer. Plus, they are excited that they don’t have to do any official written math work. As we get into the more complicated stuff, I will give them lined notebooks or whiteboards to scribble their math in to make sure they can get the correct answers. It’s online. This change from CD to online is a huge game changer for me for a few reasons: we can now use it anywhere so we can use it even when we aren’t a home, we can use it on any computer (or tablet with the puffin browser apparently – although we haven’t tried!) 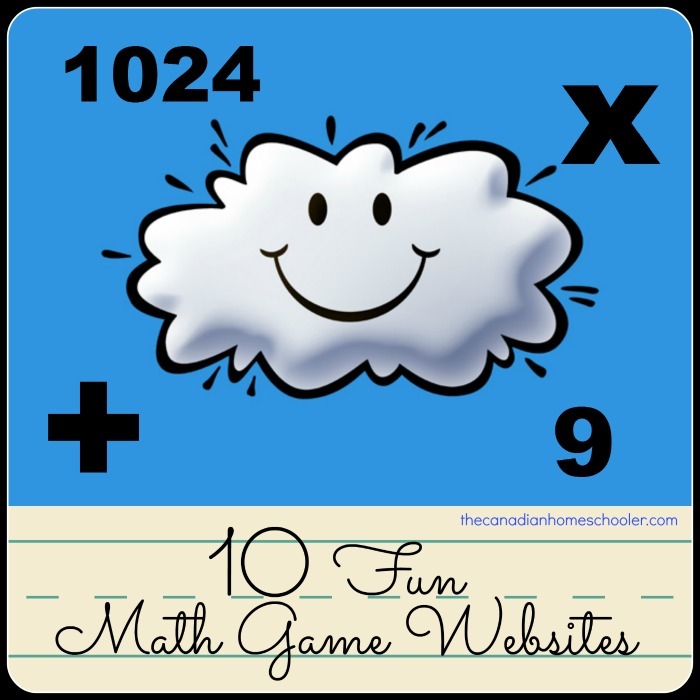 instead of just using one with a CD drive, and since I have 2 kids doing the same level, they don’t have to wait until the other is finished in order to get started on their math for the day – they can be on at the same time! You only have 12 months to complete a level. Ok, so this isn’t really a big deal, but sometimes this could be a struggle. Our family tries to stick to the plans, but we often get derailed by life and things don’t go as we’d hoped. Sometimes school takes us a lot longer to complete than ideal. Being confined to a specific time frame could either be a good thing or a very stressful one. Luckily, you can pause your subscription if you need to, which can help counter this. Buddies and the busy background can be distracting. Particularly for kids with attention issues. 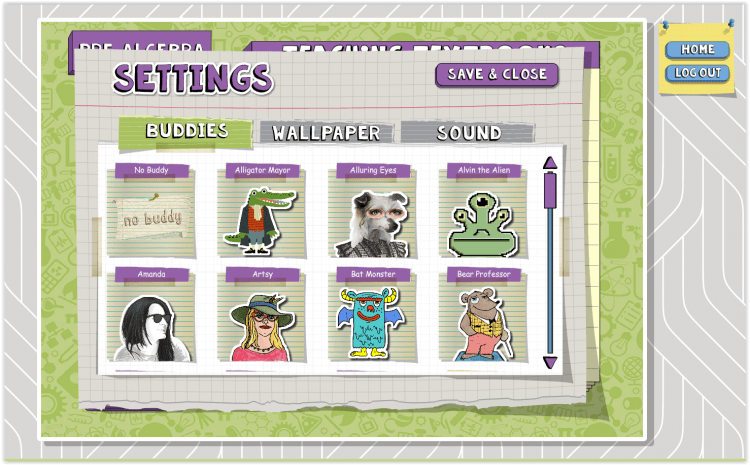 Thankfully the buddies can be turned off, but the backgrounds are still patterned. The questions asked during the grading sections don’t always seem to line up with the lesson they are learning. My oldest has found this frustrating on several occasions. Teaching Textbooks is done in a spiral format which means they circle back to lessons for review to make sure they remember all that they’ve been learning, but sometimes my kids have found that it throws them off. Maybe because it’s presented in a different way than what has been covered before and he gets confused and overwhelmed. Many times these random questions are why he gets a low grade on a lesson. *I* like that it brings them back to things they’ve learned already and reviews. That keeps those skills sharp and fresh. This was just something I noticed with my oldest son. It’s ugly. Ok, this is just petty of me, I know, but I find Teaching Textbooks to feel very…. dated. The design is very old school in terms of the digital world. I just wish it looked less like a 1990’s computer game. It can be too easy just to guess the right answer to some of the questions. I’m not always convinced they actually KNOW the answer, but have just managed to make a lucky guess. One of the things that I’ve discovered with this program is that it’s not so completely hands-off as I thought it would be. I need to make sure that my kids are doing their work properly and understand what they’ve been learning, so my plan is daily or weekly to do one-on-one math meetings to go over the lessons and their grades. That way we can stay on top of any weak areas. That, in a nutshell, is our experience with Teaching Textbooks 3.0 math curriculum this year. I’m optimistic that this change in math will be a success for us all. *Disclosure: I was given access to the new Teaching Textbooks 3.0 Math Curriculum to use with three of my children this year in exchange for my honest review of their program. This in no way affected my opinion of the product. All opinions are my own. One reader will win a Teaching Textbooks 3.0 Subscription level of their choice! To enter, use the entry box below. Open to Canada and US. 18+. Ends August 22nd @11:59PM Eastern. No purchase necessary. Hi! I’m sorry, I’d like to enter but I do not have a Twitter account…I know, weird right? Can I still enter or do I have to have Twitter? Just complete the entries you can! 🙂 Skip the twitter one.